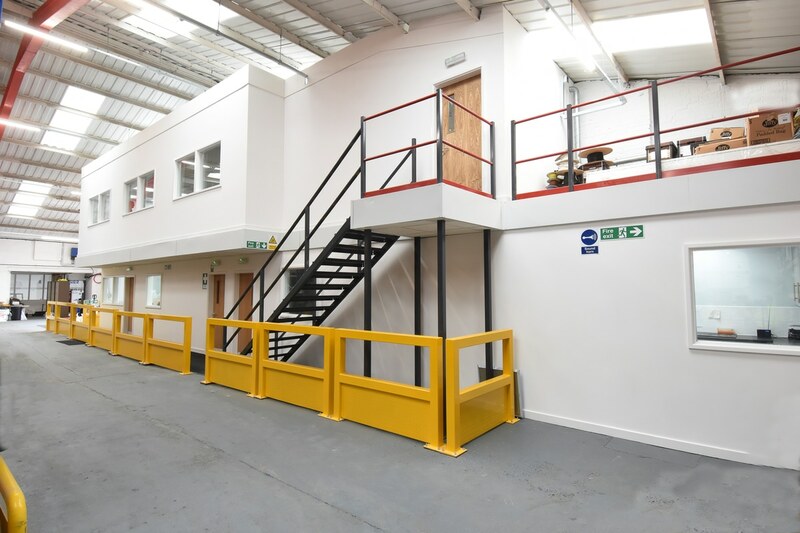 The new facility consisted of a mezzanine floor with offices above and below, along with a first aid room and rest area facility located on the ground floor. 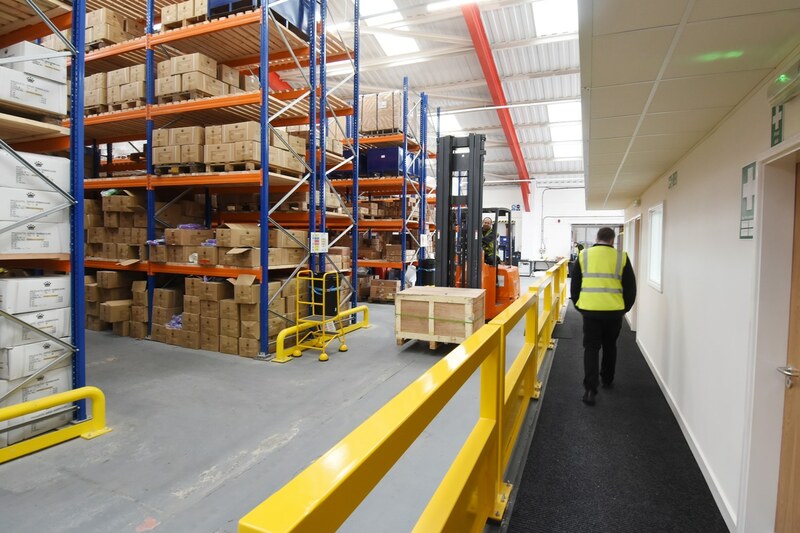 Prior to relocation of the warehouse, GT Lifting required a dispatch warehouse to store a combination of handpicked goods, timber pallets and stillages. Once completed, part of the existing racking could be re-located to create a new ‘bulk storage’ warehouse. Firstly Teepee designed a new dispatch warehouse facility comprising of a new adjustable pallet racking system fitted with open boarded timber decking throughout, to enable a total of 5 different size timber pallets and steel stillages to be stored. When storing goods of this nature, racking bay loads would exceed 15000 Kgs per bay, which generally surpasses standard concrete floor slab point loads. To overcome this issue, Teepee carried out floor slab tests to establish the strength of the concrete slab. On reviewing the results, Teepee installed spreader plates underneath all uprights, as this proved a more cost effective solution than reinforcing the concrete slab. After the installation was finalised, GT Lifting began to migrate stock over from their existing warehouse. After completion of the racking, Teepee designed and installed a mezzanine floor. This design consisted of offices on both levels, enabling necessary departments to be in direct contact with operational staff. Additional features included a tea point facility on the first floor and a first aid room with general rest area located on the ground floor. Once the new racking had been filled, Teepee were able to dismantle and re-locate existing racking to create a ‘bulk storage’ warehouse. While installing the existing racking, all damaged components were replaced, then on completion all racks were commissioned and fitted with new load notice signs. 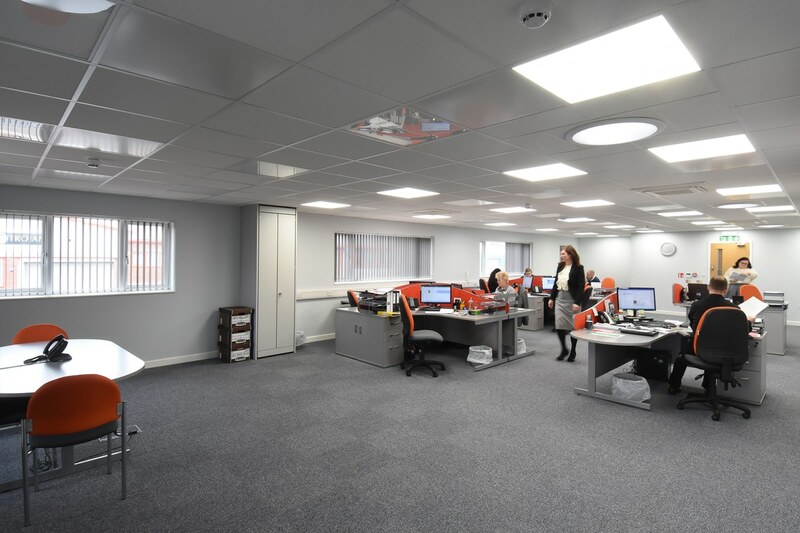 During the fit-out, Teepee co-ordinated with client’s chosen electrical, mechanical and building contractors. A combination of 2113 No. 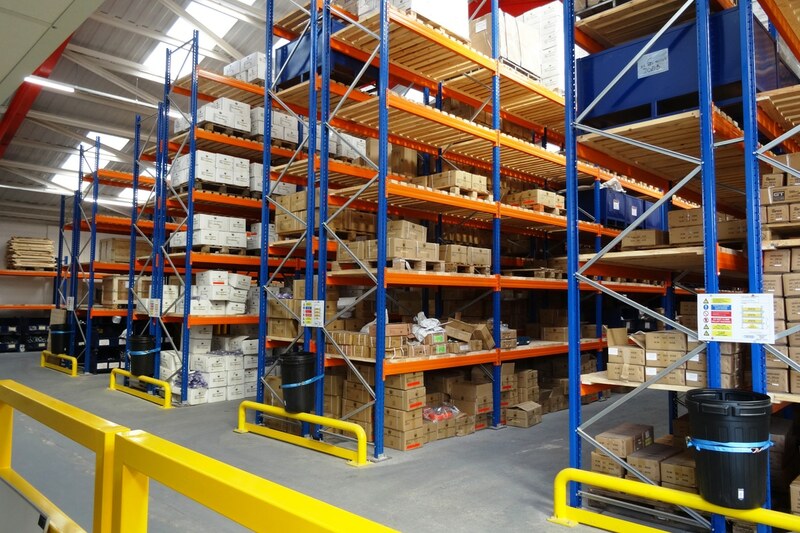 pallet / stillage locations were created, accessible by both articulated and counterbalance forklifts. Two storey office facilities fitted with suitable amenities. Existing racking re-sited and commissioned to SEMA standards. Pedestrian and end of aisle racking barriers fitted throughout, to comply with HSE / SEMA recommendations. All works designed and installed to obtain Building Regulation approval. Business Established in 1974, GT Lifting now operates from 3 – sites worldwide, supplying a comprehensive range of lifting, hoisting and mechanical equipment to the offshore industry and general lifting tackle trade. 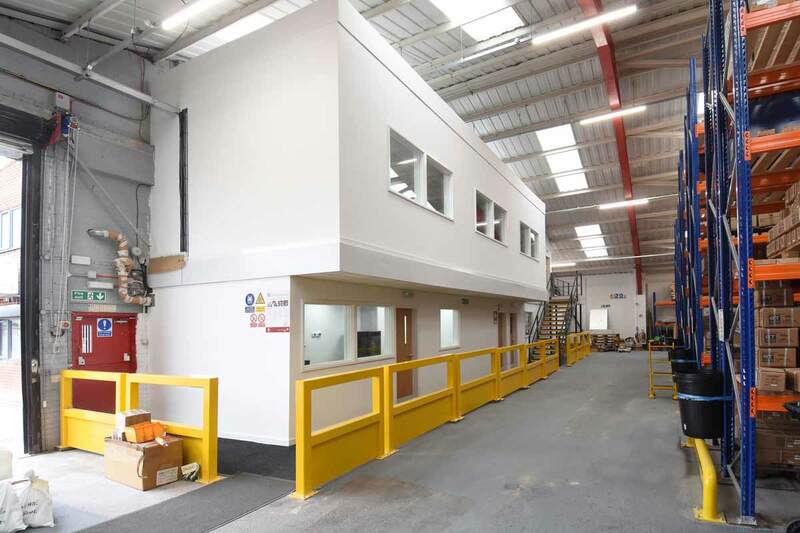 Our Brief G T Lifting were looking to relocate their head office to a newly refurbished 29,084 sq ft (2703 m2) office and warehouse based in Walsall. This would allow them to be nearer existing warehouses located within the areas and improve overall efficiencies.